Below you can view all the homes for sale in the Lamplight Gardens subdivision located in Las Vegas Nevada. 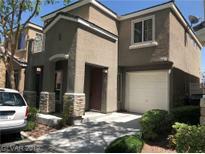 Listings in Lamplight Gardens are updated daily from data we receive from the Las Vegas multiple listing service. To learn more about any of these homes or to receive custom notifications when a new property is listed for sale in Lamplight Gardens, give us a call at 702-323-5933. This unit will not last! Move fast! MLS#2088522. First Full Service Realty. Large master w/ balcony, double sinks, large closet and tub/shower combo. MLS#2088199. Turn Key Property Solutions. Lamplight community has lots of amenities! 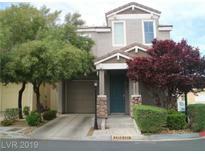 MLS#2088078. Shelter Realty, Inc.
Upgraded kitchen with SS Appliances, New window blinds, Moved in ready, Great Value, A MUST SEE ! MLS#2086506. RE/MAX Excellence. Won't last long, MUST SEE! MLS#2085910. Investpro Realty. Doors to laundry closet are in garage. Furniture is available, if interested. MLS#2085062. Simply Vegas. Community pool & spa, basketball court, playground, and much more! Truly a MUST SEE! MLS#2081753. Simply Vegas. Home is ajacent to community park and all its additional parking with an easy stroll to the pool/spa, mailboxes, playground, basketball ct. Don't miss this one. Home Warranty included MLS#2081211. Urban Nest Realty. Close proximity to 215 and shopping centers. MLS#2079730. Coldwell Banker Premier. Ceramic tile flooring through out the down stairs. MLS#2075283. Century 21 Gavish Real Estate. Starter home or empty nester's delight..it's a "MUST SEE"! MLS#2074878. Wardley Real Estate. Deal includes 55" flat screen Samsung LCD TV, semi built-in closet, shoe cabinet, fridge, microwave, stove, washer & drier. Won't last! Must See! MLS#2070041. O48 Realty. Truly a MUST SEE! **Investors welcome!! ** MLS#2069192. Simply Vegas. Gorgeous,freshly painted,new carpet,excellent condition,move in ready,neutral colors,bright,light & airy,vaulted ceilings,blinds,great starter home or perfect for investment,huge kitchen,w/granite cntps,custom cabinets,all appliances included,refrigerator,washer & dryer,huge loft perfect for den or office,storage room in garage w/water softener loop,community pool & spa,basketball court,park,gated,minutes to everything,shopping,strip & airport. MLS#2068306. Robert Realty. Master Bedroom W/ Walk-in Closet And Double Sinks In Bath, 2nd Floor Laundry Room 2nd With Neptune Washer And Dryer Included. Garage Floor Treated, Quaint Backyard. MLS#2067600. Petra Realty Group. 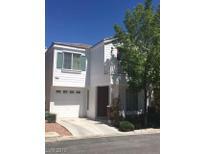 Quick access to schools, shopping, and the 215 and I-15. MLS#2045856. Realty ONE Group, Inc.